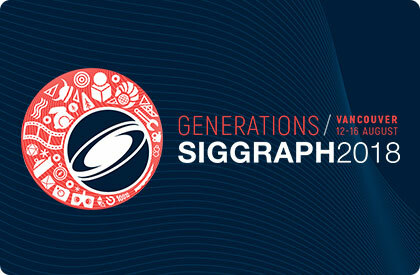 Attend SIGGRAPH 2018 and Save! ACM SIGGRAPH is offering Spark CG subscribers free Exhibit-Only passes, worth $50 US each. This pass also gives you access to the career fair and get this: it's upgradable to any other pass level, meaning you save $50 US per pass! Quantities are limited so don't delay! Register for your Exhibit-Only pass here by using code SparkCG. Become a member for $42 US ($30 US for students), and save even more! Discover more about membership benefits on the SIGGRAPH website. Conference early-bird pricing ends on June 22, so act quickly! © 2018 Lucasfilm. All Rights Reserved. You know you’re in a Star Wars film when one of the first big action set-pieces is a thrilling chase scene. 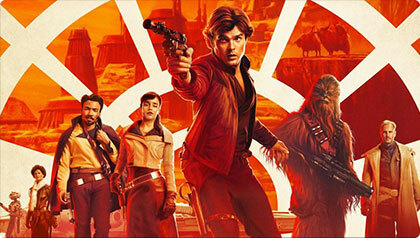 Such is the beginning of Solo, where Han (Alden Ehrenreich) and his girlfriend Qi’ra (Emilia Clarke) make a getaway aboard a stolen speeder amid the industrial streets of Corellia. To realize the chase, Solo’s filmmakers elected to film as much of the sequence practically as possible with an actual vehicle on wheels and real sets. The filming was informed by previs from The Third Floor and from stuntvis by the film’s stunts team. Industrial Light & Magic, led by the team in Vancouver, then populated the Corellian environment and crafted CG vehicles and effects for the final shots. Read the rest of Ian's interview with Rob Bredow at our website. © 2014 GKIDS. All Rights Reserved. Alexandre Heboyan and Benoît Philippon’s Mune, le gardien de la lune takes place in a world where the sun and the moon have guardians. During the ceremony for choosing the new guardian of the moon, the favoured candidate is overlooked and the title is instead bestowed to Mune, a waif-like forest faun who seems completely unprepared for the responsibility. We follow Mune in a tale of adventure and overcoming personal obstacles as he, with the help of his friend Glim, protect the moon from the nefarious ruler of the Underworld who is trying to steal it for himself. 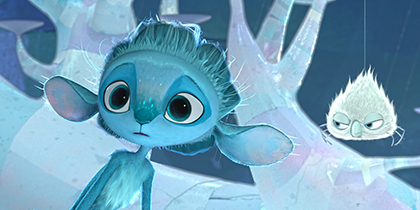 Mune, le gardien de la lune is screening on Saturday, June 30th at 12:30PM. The series is presented by SPARK in collaboration with VIFF Vancity Theatre, and the Consulate General of France in Vancouver. Tickets to the screening are FREE, but booking ahead is recommended. Seats are not guaranteed and will be allotted to ticket-holders on a first-come, first-served basis. To secure your seat, visit the Vancity Theatre website. 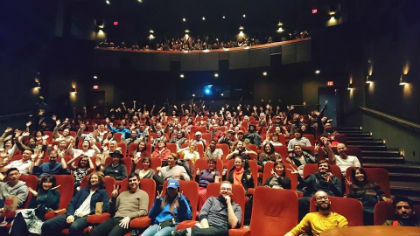 Calling all short filmmakers around BC: The Vancouver Short Film Festival (VSFF) is seeking submissions for its 9th edition, which will run January 25 and 26, 2019 at Vancity Theatre. Short format filmmakers from around British Columbia are invited to submit their work starting June 1st. For more information on the festival and for submission information, visit the VSFF website.